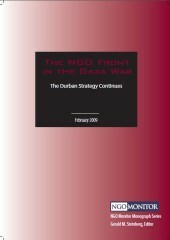 This monograph analyzes the reporting of Amnesty International and Human Rights Watch regarding the 2008-2009 conflict in Gaza and southern Israel. 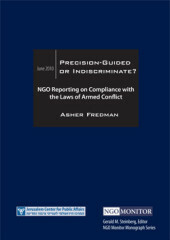 Their factual and legal claims, particularly relating to Israel's use of White Phosphorus and UAVs, are considered in light of military sources, state doctrine, and the academic literature.The analysis demonstrates that many of the NGOs' factual claims are contradicted by expert sources, and that in numerous instances, their presentation of international law is inaccurate or incomplete. 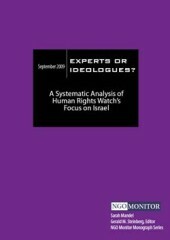 Sweden, Norway, Denmark, and Finland contribute millions of dollars annually to non-governmental organizations (NGOs) that include some of the most radical groups operating in Israel and the Palestinian Authority. The scope of funding from these countries is extensive compared to NGO support from other European governments. 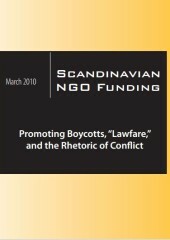 NGO Monitors research details the levels of Scandinavian funding received by specific NGOs, as well as the anti-Israel advocacy and demonization campaigns in which these NGOs engage often in direct contradiction to the humanitarian, peace, and human-rights agendas they claim to espouse. 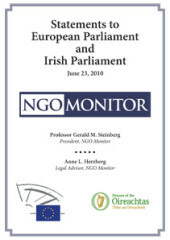 The executive summary of NGO Monitors groundbreaking report on EU funding of NGOs. 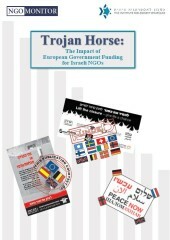 The report "Europes Hidden Hand" was released on April 3rd. (English version of the executive summary).